We hold these 6 days a week. Classes are kept small so it’s rare to have to share a platform or bar with another lifter, and we use top-quality Eleiko equipment. 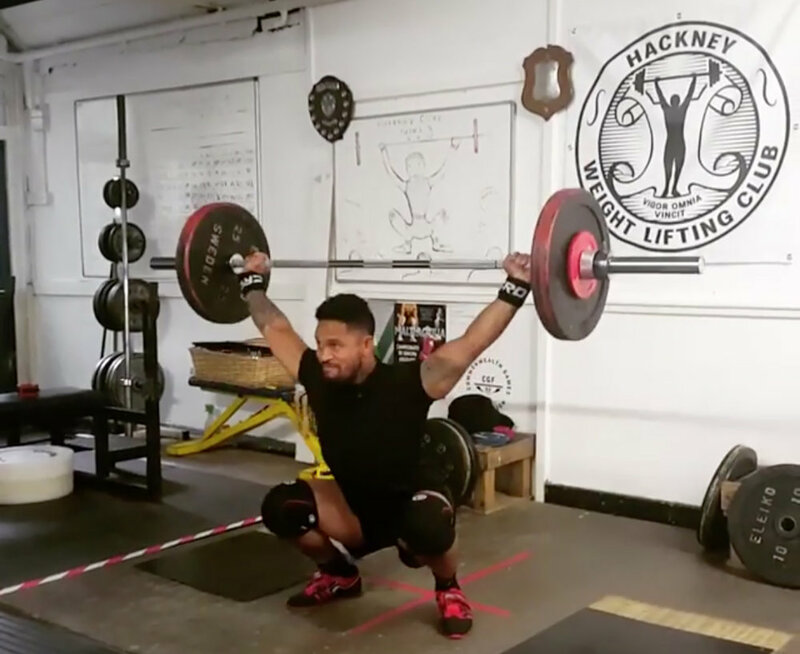 Every lifter receives a lot of attention – if you’re coming from another club you’ll be pleasantly surprised. We welcome everyone including complete beginners, Masters lifters and split lifters. You're never too old to start! We run two separate classes, Technique (Tues, Thurs, Sat) and Competition (Mon, Wed, Fri). You'll almost certainly start in the Technique class even if you have lifting experience. Daphne will refine your technique, address any weaknesses or flexibility issues, and get you sitting in the hole even if that's been a long-standing problem for you. You'll receive a programme written just for you every month. Once the coaches think you're ready you'll be welcome to move into the Competition class, should you choose to do so. The number of assistance movements you do drops dramatically and the volume of the three main lifts goes up, and coaches Pat and Amelia help you start to prepare mentally and physically for competition. You will be expected to compete several times a year. Please note that you will be asked to take a personal training session before joining the classes, even if you have weightlifting experience. This is so we can assess your technique and see how best we can help you improve. If you’re a complete beginner you'll likely need more than one PT session, and your coach will decide when you’re ready to progress to the classes. For most people this is 2 or 3 sessions. Some people prefer to stick with personal training long-term and never join any classes, and of course you're welcome to do that too. Click on START LIFTING to get started (top right).